There are a number of reasons why non slip shoes could be the best option for you. Whether it is being on a boat, working in an environment where slips can occur, or any job where you will be on your feet all day, getting the best non slip shoes can give you safety and comfort. When looking at non slip or the best slip resistant shoes, there are a few key aspects that you are going to consider. You want to ensure that you are going to have the right support, have a comfortable design and are suitable for your needs. To make sure you get the perfect product, we have developed a buying guide to look at all those key features and why they are important to you. We have also completed non slip shoes reviews to show you the best products that are on the market. 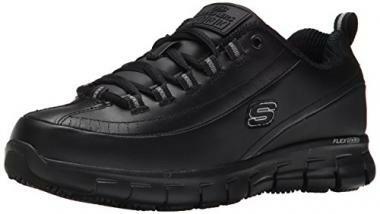 These are top rated slip resistant shoes from Skechers that come in a simple design but one that means you’ll be able to wear them for a wide variety of different reasons. 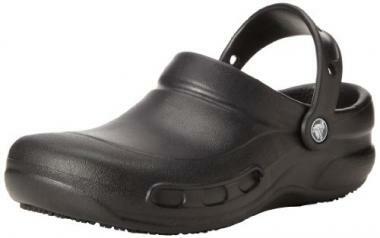 Their simple black design makes them ideal for jobs where you have to wear black shoes. They are a very comfortable shoe and one that is very easy to wear with a slip-on design that means you can take them on and off with ease. Their comfort comes from a memory foam insole for cushioning and a padded collar. They have a soft fabric lining and a synthetic sole that is going to be able to give you a high level of traction. Another great feature of this product is their high amount of durability with reinforced seams to make them last for a very long time. If you’re looking for comfortable slip resistant shoes, then this could be the perfect shoe for you. It has more support than the previous design and comes with laces if you need to have a shoe with a more secure fitting. The sole is synthetic and will be able to give you a good level of traction, whatever surface you are on. This makes them ideal for a wide variety of different activities and will be able to give you peace of mind when you are out and about. It has a 1.25 inch heel and comes in a black color to make them suitable for a variety of different jobs. It is a comfortable shoe and has a padded tongue and collar to give you all-day protection without your feet getting too tired. If you’re looking for a stylish sneaker that has slip resistant soles then this product could tick all the right boxes. It comes in a black color for work use but it is also available in a wide range of different colors and designs if you wanted a little more style with your shoe. It has a rubber sole that is going to be able to give you a large amount of traction and prevent you from ever slipping. It has a breathable textile lining to give you a lot of comfort and an EVA footbed to make it easy under your foot. The shoes have a number of great features such as a suede upper, a dual-density collar and also a padded mesh tongue. It’s a highly rated shoe and you can be confident in its build quality, especially with it coming from such a reputable brand. 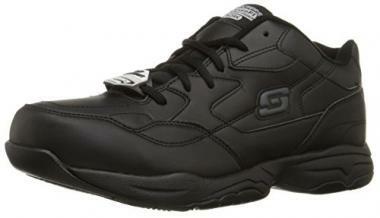 Skechers are a well-known maker of high-quality shoes and this is another great pair of non-slip shoes. This is another shoe that has a simple black design so that it can be worn in a wide number of different environments and situations. The shoe has a mesh fabric upper which will mean that the shoe is comfortable but also means that it will be highly breathable, meaning that your feet aren’t going to hold in any moisture for too long when you are constantly on your feet. It has a rubber sole to give it that non slip quality and overall this is a high-quality shoe that will be useful time and time again. It has a laced design with a heel pull tab to make it as easy as possible to slide onto your feet. 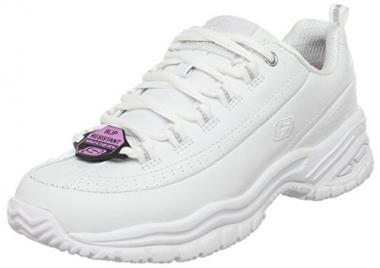 This product from Skechers is one of the best non slip shoes for women and one that has a high level of durability. This shoe is going to be able to offer you a very high level of stability which makes it ideal for more intensive use, as well as regular use. Part of that durability comes from its leather upper that is going to last for a very long time. It can be used for work use but has a high level of comfort to help prevent your joints and your muscles from getting sore. 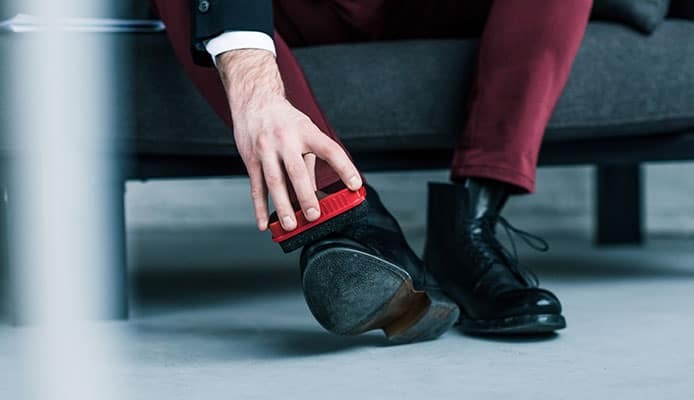 It has a rubber toe cap to prevent you from getting injured and a high-quality sole to make sure that you are able to stay on your feet at all times. This is another great product from Skechers and will be ideal for any woman looking for a multi-use shoe. This is a much more relaxed womens work shoe from Sketchers and one that has a slip-on design, making it very easy to wear. Despite that, it gives a very good fit and one that will mean that your foot doesn’t slip out of the shoe. The reason for that in large part due to the fact that the pull tab at the back of the shoe doubles up as a part of the heel. It is a very comfortable shoes but the leather supper also means that it’s going to have a very high level of durability. This shoe is available in two colors as they have an all-black version and an all-white version depending on your preference. The synthetic sole is going to be able to give you a high level of traction to make sure that you are able to be sure-footed. 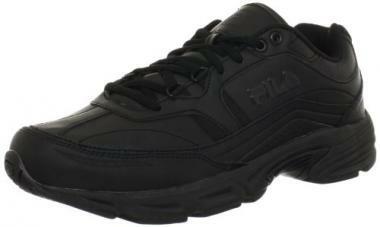 Fila have been able to produce these non slip shoes for men that are very high in quality. They are another shoe that is available in either black or white, and both of them have a very stylish design that are going to look great whether you are working or doing your favorite activity. This is also a shoe that is going to be able to give you a high amount of durability. That is helped by the leather upper that it has, along with the synthetic overlays that are going to be able to make the shoe last for years. The high level of traction that it has is going to come from its rubber insole that has been tested to prevent you from slipping on a wide range of different surfaces. It has memory foam to give you a great amount of all-day comfort. In terms of slip resistant shoes, this is one of the most stylish on the market and it will look great wherever you are. It is highly rated and has a long list of great reviews to leave you confident that you are getting a quality product. The upper is completely made out of leather that adds to its stylish looks but it also means that the shoe is going to have a great level of durability. That makes it ideal for work but also many other types of environments too. Its synthetic sole is going to be able to give you the traction that you are looking for and the inside of the shoe has a comfortable insole. This is another great product from Skechers and one that that is ideal for any women looking for a comfortable and durable shoe. This is a very comfortable shoe from Crocs that is going to work well as a work shoe but also in other situations such as being on a boat. There are six different color options available, allowing you to choose the one that most suits your needs. One of the best features of this product is that it has an enclosed toe design and a thicker level of material over the top of the foot which is going to help to protect you if you ever drop anything onto your feet. The shoe has a great level of durability but it is also lightweight too, allowing you to wear them all day without any aches or pains. The synthetic sole and slip resistant tread are going to make sure that you stay on your feet at all times. 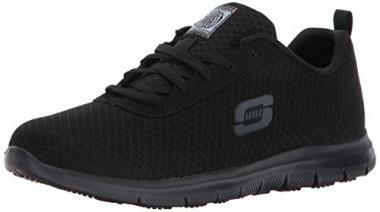 This is another mens shoe from Skechers that will give you a very comfortable and practical shoe. The leather upper is going to give the shoe a lot of strength and it’s also a part of what makes it such a stylish product. This has the look of a traditional for shoe and therefore is going to be ideal for those occasions when you need formal footwear. Despite that more professional design, it is still going to be able to give you a very high level of comfort. Its rubber sole is going to be able to give you traction on all surfaces and the insole is removable, allowing you to place in your own if you have any feet issues. It also has a high grip outsole, giving you all around protection. Whether it be boat shoes, work shoes, trail running shoes or any other type of footwear, the support that you’re going to be getting is going to be crucial to your overall buying decision. This is one area though that many shoes differ depending on their specific needs. Non-slip shoes aren’t going to give you the same level of ankle support as a hiking shoe as you’re not going to be walking outdoors over difficult terrain. Instead they will be offering plenty of support under the foot and also with the insole too. Some of these shoes are going to be able to give you an extra layer of protection in specific parts of the footwear. This could be with the toes or with the upper. This isn’t the same level of protection that you’d get with specific shoes but can help protect you against accidents. It’s important to know the use that you are going to have for a shoe. It’s always important to have the right shoe for a specific task to help you give the support that you need. These shoes are great for some situations but not others. If you are looking for a shoe that you can use in the water, for example, then there specific water shoes that you can buy, including specific water shoes for kids as well as water shoes for women and water shoes for men too. This is just an example of where getting a shoe for a specific use is important. A lot of these shoes have been designed with the workplace in mind and there are many different types of jobs where you are going to be on your feet all day but will be required to wear footwear that has a formal look. These shoes are going to be able to offer a high level of support for such a role but this also means that they can be used in other similar situations. One area where these shoes need to offer a very high level of support is with the traction that they have. This is what is going to make your stay on your feet at all times and help prevent you from hurting yourself or dropping anything important. These products will have either a rubber or a synthetic sole that will grip tightly to the surface and give you a high level of slip resistance. No regular shoe can offer you complete prevention when it comes to slipping but a well-designed shoe will really help. Whatever use you’re going to have for your shoe, it’s important to get one that has the right level of support to match your activity. There is no point using a fishing shoe to go to work in and the same works both ways. It’s important to know your requirements. These shoes have to be well designed in order for them to be light, comfortable and still be able to give you the amount of support that you need. There is also the aspect of style too and whether or not that is going to be important to you. 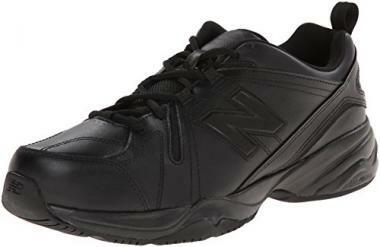 A lot of these shoes are meant to have a completely black design that means that you are able to wear them in a work environment. There are other colors available but to a lot of people the style of the shoes is not going to be too important, as you want it to look as professional as possible. In terms of the materials of these types of shoes, they will either have a soft fabric upper or will have a leather upper. The type of shoes that are going to be the best for you depends on the use that you have for it and the durability that you need. Having a soft fabric shoe is going to allow your shoe to be lighter and more breathable. This will add to your levels of comfort as your feet won’t get so hot and your muscles are less likely to ache when compared to a heavier shoe. Leather, on the other hand, will be heavier but will still be light enough to be a comfortable shoe. That extra weight will help the shoe to give you a higher level of protection for your foot but also it will mean that it is more durable and more likely to last you for longer. The best product for you is going to depend on your specific needs. 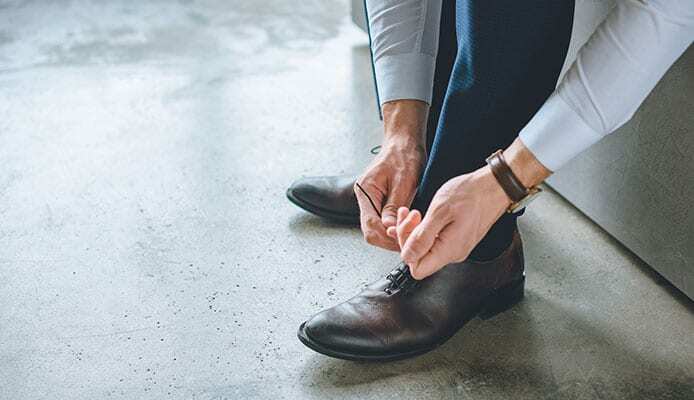 If you are going to be in a hot environment where you don’t need much protection then a soft fabric shoe might be the best option but if you work in a challenging environment, then a leather shoe might be your best bet. One design aspect of these shoes that’s important to consider is if you want a slip on shoe or whether you are going to want one that has laces. This again is going to depend on your specific needs and what type of environment that you’re going to be in. A slip on shoe isn’t going to be as safe as a lace shoe but it does have its advantages with one of them being a huge level of convenience, especially if you are taking your shoes off and on all of the time. These types of shoes are going to be ideal for situations where you won’t need much shoe protection. Laced shoes are going to be able to give you a higher level of protection as there’s a much smaller chance of them slipping off your feet. There are also likely to offer you a higher level of support too, as the ankle and the tongue are often situated high on the foot. All of the shoes that we have looked at here are very well designed and are going to be able to give you everything that you need. Getting a shoe from a reputable brand will also help to ensure that you are getting a quality product and one that has a great level of build quality too. One area that these shoes excel in is that of comfort. They are able to be soft under your feet while still being able to give you the support you need. They are designed to be worn all day on hard surfaces and therefore need to be well made. The overall fit of the shoes is going to be very important as you need to make sure that they are a snug fit but without being too tight. If you don’t get the right fit for your shoes then you are going to have problems and your chances of getting a blister are hugely increased, and blister prevention and care is vitally important. The insole is going to need to give you a high level of comfort too. A lot of these shoes have an EVA footbed which will be soft underfoot but will be firm enough to still give you enough support. There are memory foam insoles too that some people might prefer. If you have problems with your heels and arches then it could be a good idea to invest in your own insole that will specifically fit your foot. The advantage of this is that it will be able to give you a level of comfort that a standard insole couldn’t. In order to make this as easy as possible, it’s a good idea to look for a shoe that has a removable insole that will allow you to place your own one in. Another important area for comfort is how breathable your shoe is going to be, but the importance of this will depend on your individual situation. In order for a product to be breathable it has to let the flow of air come in or out of your shoe. The reason that this add to your comfort is that if your feet start to sweat with a non-breathable shoe then the moisture will have nowhere to go. When it’s trapped like this, a few problems can occur. Your feet will get warmer which will only make the situation worse and if your feet start to get damp then it will dramatically increase the chances of your getting a blister and sore feet. This is only going to be a problem in intense environments or if you’re in a particularly warm place. If you are going to be more relaxed in your walking, then you would be fine with a leather shoe as this would offer some breathability, but not much. A soft fabric shoe, especially one with mesh, would offer you the greatest level of comfort in this respect. There are also other features that are going to be able to add to your comfort too such as a padded ankle collar or a padded tongue. A heel tab are going to be able to add to the usability of a product and make them much easier. The weight of a shoe is often a balancing act between a few different factors. For example, light weight and durability aren’t two aspects that go hand-in-hand and generally if you want to add more durability, such as in hiking boots, then you’re going to need to add more weight. We see this with the extra weight that can be added by having leather as an upper. This will still be a comfortable shoe but you won’t be able to pick your feet up as easily as you could with a product made out of lighter materials. That is something that you have to bear in mind whenever you are looking into buying a shoe. One product might be heavier than the next but you need to look into the advantages that it has and whether or not they are going to be required for your needs. If you were backpacking in the rain, for example, then a bit of extra weight in your hiking shoes might be able to give you a better level of protection from the water. On the other hand, if you were on a kayak the chances of contact with the water are very high and you might look for a kayak shoe that is light and will dry quickly, rather than try and protect you from the wet. These are good examples of where you need to think about the situation that you are going to be in and get a shoe to match that. All of the shoes that we have featured here though are all quite light and won’t be uncomfortable to walk in. There are a few differences though and it’s a good idea to check the weight before you buy the shoe. Q: Why do you need slip resistant shoes? A: Slip resistant shoes are going to be useful in a wide range of different situations. These shoes are generally designed to give you protection if you are walking on a hard surface with a hazard which makes you much more liable to slipping. That makes these shoes ideal for many different work environments, with the service industry being a great example of where their level of traction would be vital. They are great for everyday wear too and there are other times that you need slip resistance shoes such as walking on your boat or on decking. Not only do these shoes give you that protection from what’s under your feet, but they are also very comfortable and give you a great level of support. That makes them ideal for simply wearing all the time, even if you aren’t in a high-risk environment. Q: How to clean the slip resistant shoes? A: The upper of slip resistant shoes will be cleaned based on the materials that are on there. Some of them will be able to be machine washed whereas others will take more care. It’s important to read the cleaning instructions to ensure that you are doing the right cleaning for the specific material. For most stains though, hot water and mild soap would be fine. For the soles, they would need to be kept clean and any dirt or stones would be removed so that the traction isn’t affected. This can be often done with a small soft brush, such as a toothbrush. Q: Are the soles of your shoes guaranteed not to slip? A: Unfortunately, unless you’re walking around with spikes on your feet, you are always going to be vulnerable to slipping on something. There are certain substances that are more slippery than others and walking on them the wrong way can lead to a slip. What these shoes do is give you a much higher level of traction to make it much less likely to slip on such things like food and water. No shoe will guarantee that you will never slip on anything, but these shoes are going to be your best bet. Q: What makes non slip shoes not slippery? A: There are two different aspects that can make a shoe as stable as possible. The first is the material on the bottom of the shoe and the second is the design of that sole and how the various grooves and lugs are set up. These combine to make them as safe as possible. These soles are either made of rubber or a synthetic material that have very similar qualities. This will grip into the surface and allow you to push off with a sure foot. The pattern underneath the foot will also help to clear anything that will make you slip, just as the tread on a tire does. Q: What kind of Shoes are Considered Non-Slip? A: Any shoe can be considered non slip if it has the qualities that we have looked at here. 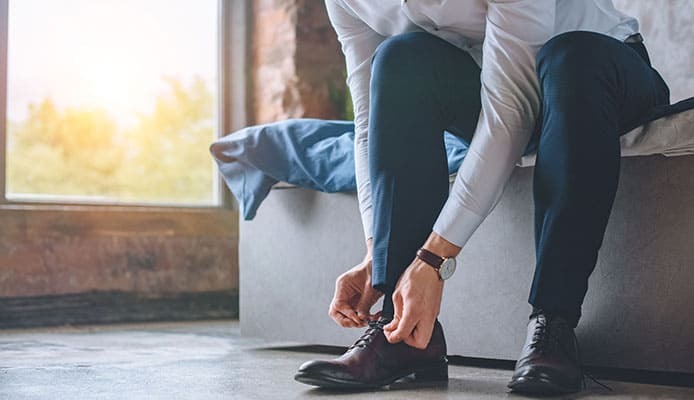 While all shoes are designed to give you a level of grip, formal work shoes often have very flat soles that don’t give you much comfort and are almost smooth on the bottom. This makes them an unacceptable option for many people who are expected to wear a black shoe, therefore the products that we have looked at here are going to be able to give you that protection. Any shoe with a sole that is well-designed and has a high level of traction could be described as non slip. Slipping up can be a highly embarrassing situation but worse than that, it can also be very dangerous and you could end up in the hospital or having to spend time off work. If you’re going to be in an environment where the risk is high, then you need to invest in a quality pair of shoes. In order to choose the best product for you, there is clearly a lot to consider as the design aspect of them is going to be very important. A lot of this is going to depend on your individual situation and what your needs are going to be. Breathability is a good example of an area that depends on the environment that you’re going to be in. You also want to make sure that you are buying a quality product. All the products that we have looked at here are very well rated and are made by some of the biggest brands in the shoe industry. That should give you confidence that you are getting a great shoe. I hope this guide has given you all the tools that you need in order to choose the best shoes for you. Once you have your pair, you’ll be able to walk around with more confidence knowing that your shoes are going to help to keep you on your feet at all times.